Women in China, especially those who are poor or live in rural areas, are often forced to have abortions as per the One-child Policy. The procedures are oftentimes inhumane and extremely scarring to the mother, both psychologically and physically. In some cases, they are life-threatening and even fatal. These abortions grossly violate universal concepts of human rights and free will. Birth Planning officials also force the families to pay huge fines for the illegal pregnancy, confiscate or damage their property, and may even detain family members as punishment. The whole life of the family is destroyed. We have rescued many women who were on the precipice of life and death, birth and destruction. Whenever possible, we provide emotional, legal, and monetary support for these new mothers. We believe that every woman has the right to take charge of her own body and future. 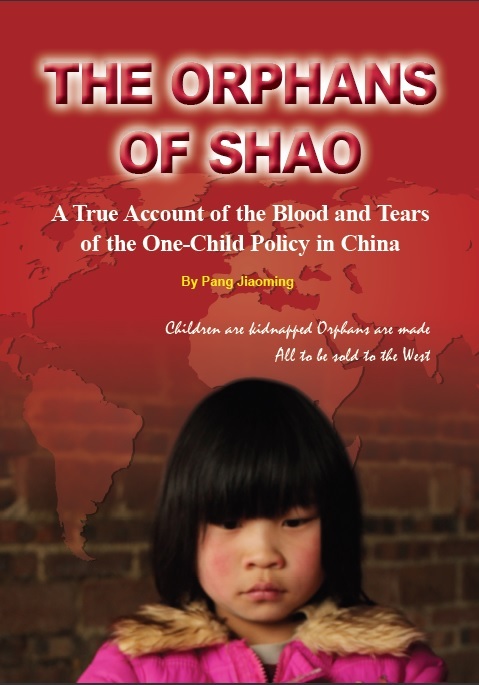 Child kidnapping and trafficking is a huge problem in China right now. Children are kidnapped and trafficked for adoption, street begging and street crimes, forced marriage (please also refer to the “Child Bride” section), forced labor, and sexual exploitation. They are often beaten or abused during the process. Young girls are especially vulnerable to trafficking, both because they are not considered as “valuable” as boys and simply because girls are the foremost target of sexual predation. Since 2008, WRIC started to spread awareness about missing children that are likely trafficked. In 2010, Huijiawang (Reunion Network, the former name of WRIC) organized the First Chinese Citizens’ Anti-Trafficking Discussion and Conference. In addition, WRIC exhibits hundreds of photographs of missing children in China and in New York. Traditionally and even now, especially since the implementation of the One-child Policy, Chinese culture has valued boys much more than girls, as boys are considered to be stronger and can work on the farm, fight off bullies in the village, and are obliged to provide old-age support to parents. Yet under the One-child Policy launched in the 80s, families are only allowed one child, unless of course they are wealthy enough to afford a “birth permit”, fines, and bribes. For families of meager to moderate means, giving birth to more than one child can have crippling consequences. As a result, baby boys have become priceless and baby girls extraneous. Government statistics show that at least 160,000 baby girls are abandoned each year, but the real number revealed by local NGOs is much larger. Many abandoned girls end up in rural orphanages and struggling nunneries that have become too bloated, underfunded, and insufficient. This is why the gender ratio in China is currently at least 119 boys:100 girls. WRIC develops monetary assistance and educational programs for girls in Mainland China’s poor rural areas. Our Rural Girls Assistance Project gives $20 to every expectant mother who is 5 to 9 months pregnant. The project aims to combat gender discrimination in China, to fight for girl babies’ equal rights to survive, and to encourage mothers of girls. We want to strengthen the bonds between mother and daughter and to give young girls the chance to live a mentally and physically healthy life. Then mothers can be proud to give birth to a girl. Our support for rural mothers can help them build confidence. The One-child Policy also leads to gender imbalance in China (about 119 boys for every 100 girls). This leads to many social problems, which includes the proliferation of child brides, most common in the Fujian region since the 1980s. There is a huge population of Chinese men, mainly in rural areas, who cannot find a wife due to the relative scarcity of girls. Families attempt to solve this problem by “adopting” little girls as future daughter-in-laws. There is also the added bonus that they do not have to fork over a dowry that is traditionally given to the brides’ family. These young brides are oftentimes kidnapped or simply bought off of poor parents. Child brides have not received attention from the government and the public, and have become a group forgotten by society. WRIC raises awareness overseas and in China through media campaigns and on-the-ground events. We have hosted conferences in China and provided DNA tests that have successfully reunited child brides and kidnapped girls with their birth families. These events constitute some of our most rewarding and touching work. Needless to say, we are ever so grateful to our volunteers, supporters, donors, and members who have made these reunions possible. Orphanages in China are rife with children who are disabled or simply female (the majority of orphans have some kind of special need). Since the implementation of the One-child Policy, the number of orphans has increased dramatically, since most families do not want their only child to be a girl or have a disability. Many are abandoned or sold and end up in orphanages or nunneries that lack support from the government. All in all, government aids for orphans are dismal. Orphanages are much too overcrowded, underfunded, and overworked. There is also a problem with child trafficking due to an increasingly high demand for non-special needs (NSN) girls from potential parents overseas. We strive to bring awareness to this multi-faceted problem of child abandonment, as well as provide monetary support for small orphanages/nunneries in rural areas. Since we do not hold any headquarters or physical office space in Mainland China (due to the government’s political imprisonment of our local workers and grave danger imposed on our anonymous volunteers and reporters who expose truths about the government), we are unable to conduct large-scale projects to directly take care of orphans ourselves. Regardless, we do the best we can to alleviate the challenges and obstacles that ethical orphanages face.